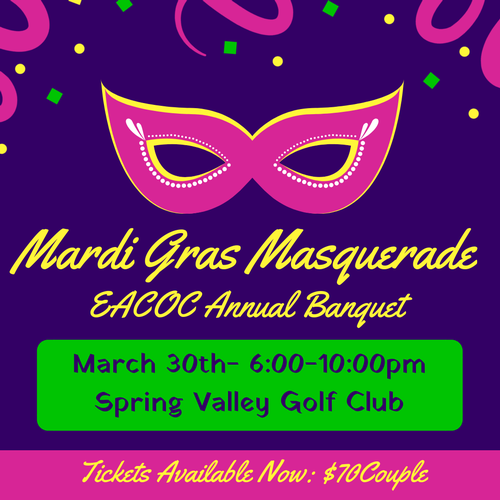 Join us for a Mardi Gras Masquerade Annual Banquet. This years banquet is being hosted at Spring Valley Golf Course. Limited Seating - Get your Tickets Today!!! Gaming Table Sponsor- $200- Your digital commercial dispaying on a screen on all gaming tables and big screen presentation- scrolling throughout the entire evening! Prize Sponsor- Seeking local prizes and contributions for our gamers! Big Screen prentation scolling through out the evening.